Brian Ramm's son Nicholas started playing hockey in Erie several years ago. One day he said to his father, "Dad, I wanna be awesome at hockey!" After finding no skating or hockey schools in town, Nicholas was put with a figure skating coach to continue honing his skills. It was during that period that Brian noticed the huge gap between the area travel teams and recreational players in terms of skating skills. The recreational players needed to learn to skate. This prompted Brian to open the Ramm Skating School in 2010. The skaters he coached saw huge improvements in their hockey abilities and word of mouth led to ever larger numbers of students each year. Having a large number of hockey players as students inevitably led to adding core hockey skills, such as stick handling, passing and shooting, to the program, turning it into the formal skating and skills developmental program it is today. In 2016 the program was renamed to High Gear Hockey. Throughout my many years of hockey in the US College System and various Canadian hockey leagues, I attended many hockey and skating schools. The successful schools profoundly impacted my skating skills and game, and it was those schools that focused on the core elements of balance, agility, flexibility, power, quickness, and explosiveness. Most skating schools and clinics are short in duration and do not allow for the repetition of drills, which is how we master a skill set. My programs are designed as schools with longevity to allow for mastering of skills. The next evolution of Power Skating is upon us. Todays player must have the key elements of balance, agility, flexibility, power, quickness, and explosiveness to play at the highest levels. High Gear Hockey focuses on the development of these skills to maximize a player's potential in order to help make their dreams a reality. Brian Ramm was born in Brantford, Ontario, Canada. He grew up in Stoney Creek, Ontario, Canada. Brian played for the Hamilton Kilty B's in the OJHL. Brian came to Erie, Pennsylvania in 1995 where he attended Mercyhurst College, and played on the NCAA Division 2 Hockey Team, the Lakers. 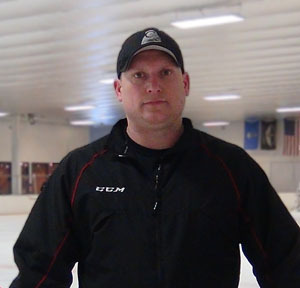 Brian lived for several years in Amherst, New York before coming back to Erie, Pennsylvania in 2010 and starting the Ramm Hockey School, which has now become High Gear Hockey.